Can I choose between male and female personal trainer? Yes. You can definitely choose the gender of the personal trainer you are comfortable with. What is the maximum size of each training sessions? Your goal is our priority hence our training sessions are on 1 to 1 basis to provide the focus required. If you have a friend or family member that is keen to join you for training, feel free to let us know and we can customise small group training sessions for you at a special small group price. What do I need to bring for my coaching lesson? Any comfortable sports attire, a towel and a bottle of water. Where do you normally conduct your training? Our personal trainers can conduct training sessions at public gyms, your private condo gyms or the near park or beach. How long will it take to achieve my desired goal? Everyone is an individual with different ability. As long as your training is consistent and you have followed our advice with the recommended diets and rests, you will see results in 1 – 2 month. I have medical conditions, am I suitable for physical training? We highly recommend you to seek for a doctor’s opinions first as your safety is our top priority. What if i am not able to attend a particular training session, will there be any make up session? 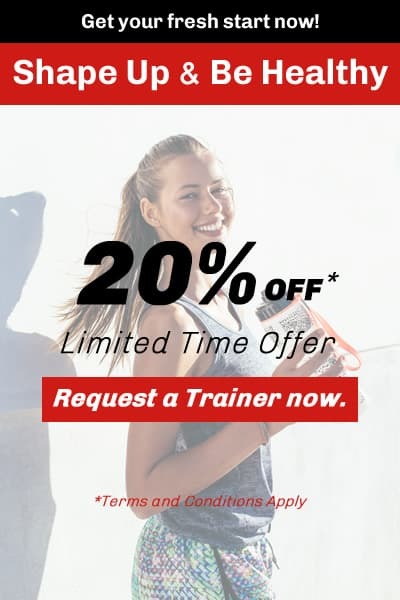 To be fair to the personal trainers, you are required to inform your trainer at minimal 1 day in advance before the scheduled session to postpone your training session. Peak vs. Non-peak hour training sessions? Our peak hours training sessions are from 5am – 10am, 6pm – 10pm. Due to the high demand of our trainers during this rush hour, peak hour charges will be slightly higher compared with non-peak hour.